Rosé sales has exploded in the US over the past few years, especially during the warm weather months. It taste like summer and all the best ways. In France, it now eclipses the sale of white wine. Yes, everything‘s coming up rosé. 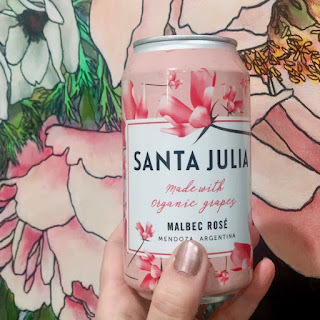 It’s not surprising that when the acclaimed Argentina’s Bodega Santa Julia from chose select wines for the "wine in a can" trend, they picked a luscious rosé. 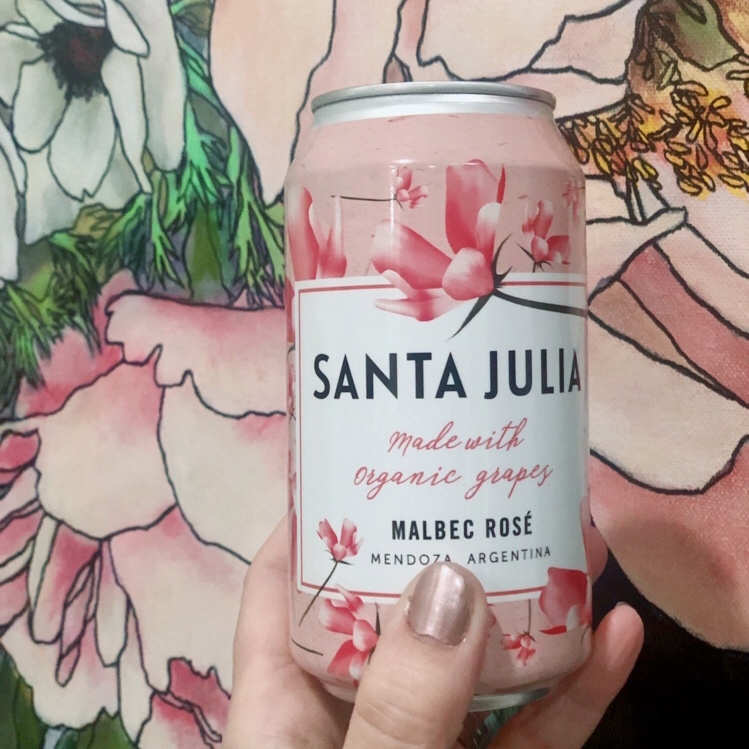 This Malbec Rosé is bursting with summer berries such as strawberries, raspberries and blackberries. I found it charmingly crisp and delicate on the palate. It’s an easy sip and a good balance between sugar and acidity. It’s an ideal pairing for weekends at the lake, alfresco dining and adventure. I get the convenience of the grab and go can but I’m still packing stemware as sticking your nose in the glass and taking in the aroma effects the taste. Yes, im that into wine. A rosé is a very food friendly wine and pairs with almost anything. Personally, I love rose with grilled seafood and it’s great with BBQ. Heads up: One can of wine is equivalent to a half a bottle of wine. So in case you’re asking what exactly is a rosé. A rosé is a type of wine that incorporates some of the color from the grape skins, but not enough to qualify it as a red wine. Rose can be made from any variety of grape.